Ma Xiaoying, from Heilongjiang province, has been devoted herself into scientific research and clinical work on cancer for 7 years. She specializes in chemotherapy, hormonal therapy and molecular targeted therapy for breast cancer, liver cancer, lung cancer, stomach cancer, gynecologic tumors or other malignant tumors, and is very familiar with minimally invasive technology in the treatment of various tumors. 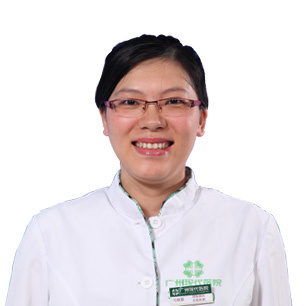 Proficient in condition progression, treatment for various kinds of cancer complications and prognosis for various kinds of tumors, she masters the skills of making the best treatment plan for various kinds of cancers. Dr. Ma got master degree of medicine in 2009. She went to National University of Singapore for further study in 2015. In 2005, Dr. Ma graduated from Medical College of Jia Musi in 2005 and got master degree of medicine in 2009. Now, she works as an attending doctor of oncology department in Modern Cancer Hospital Guangzhou, and she has devoted herself to the oncology research and clinical work for 7 years. Combining with clinical practice, she wrote academic papers about cancer research which was published in World Chinese Journal and Medicine Magazine of Heilongjiang Province during her study for the master of medicine. All these have contributed for her to obtain high recognition from the experts of oncology. Even during work, Dr. Ma Xiaoying still maintains the good habit of reading a large number of medical books, and often participates in the academic symposium to consult or discuss with medical experts. Through these ways, she has constantly learned advanced medical technologies and supplemented her own medical knowledge.